Root for your favorite home team or charter a bus to your next away game and ensure victory with seamless transportation. 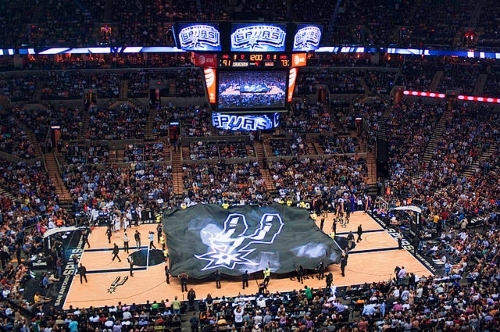 Whether you’re a sports team or a group of fans, you’ll get to upcoming San Antonio sports events with ease. 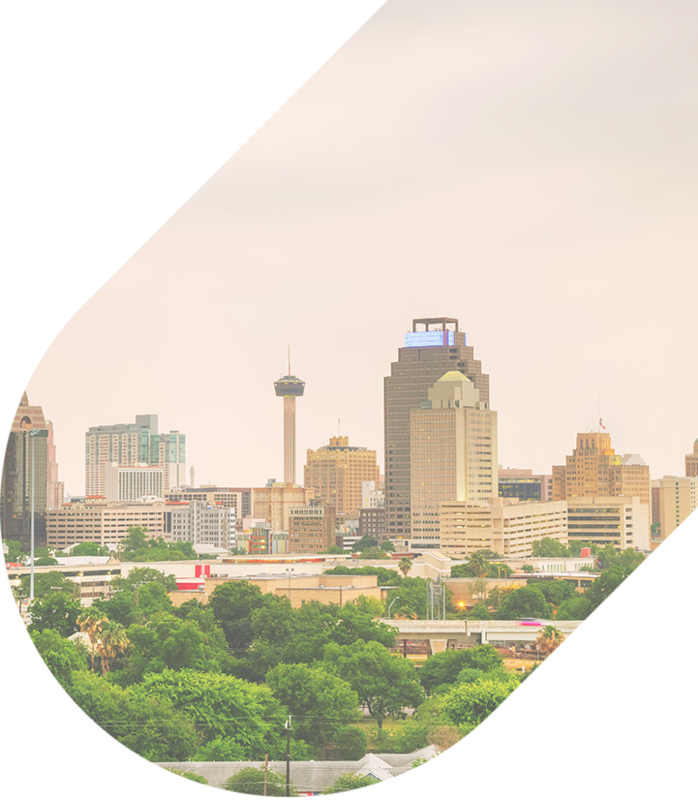 National Charter Bus San Antonio will assist you in planning your tailgate parking, game day transportation, and the bus ride to transport your guests from the arena. Book with National Charter Bus San Antonio by calling 210-343-2190 to streamline transportation for your next sporting event. Depending on the length of your trip and the number of passengers attending, we’ll provide a wide variety of accommodating features such as reclining seats, WiFi, TV monitors with DVD players, and on-board restrooms for a comfortable ride. We work with a large network of bus providers and professional drivers to provide event shuttles with luxurious, cutting-edge amenities to bus passengers in comfort throughout the entire event. We work closely with providers throughout Texas to give you sports transportation specifically fit to your unique schedule and itinerary. With a rental from National Charter Bus San Antonio, your entire team will have plenty of space for equipment and for every player to stretch out and relax before a big game. 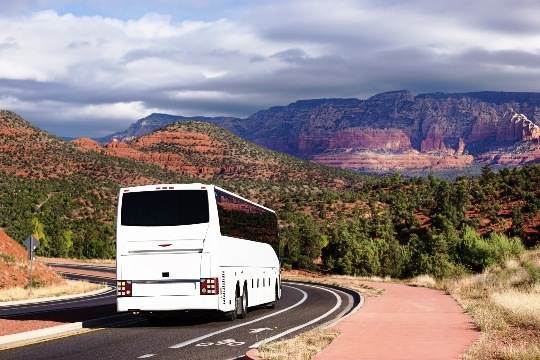 Full-sized charter buses are equipped with large luggage bays under the bus and additional overhead storage for all of your equipment. Transport all your friends or family to and from the big San Antonio Spurs game at the AT&T Center. We can even transport everyone over to Austin to attend a big Longhorns game at the University of Texas -- Austin, On your bus, you’ll have plenty of room for all of your sports fans to store tailgating essentials such as coolers, tents, and televisions on the go, as the whole group keeps up with game stats. All passengers can rest and enjoy the journey ahead with adjustable features, kid-friendly entertainment, and added storage space. You can leave all the driving up to the professionals while you enjoy the game to the fullest. We’ll handle the designated driving so you can enjoy tailgating and celebrating your favorite team's victory. National Charter Bus books transportation for sporting events of all types. Whether transporting a group of dedicated fans or the whole team, we’ll provide reliable travel solutions so you can support your team in comfort and style. Depending on the size of your group you may want to keep your travel simplified in a private minibus or book a fleet of full-sized coaches for added storage space. Minibuses are great options for groups of fans deisiring a compact but comfortable bus to get around busy arena parking lots. No matter the size of your group, we’ll find a suitable charter bus option to meet all of your San Antonio sports travel needs. You can rely on National Charter Bus Company to provide high-quality group transportation services in San Antonio and the surrounding area. Whether you’re traveling for a business event, school field trip, wedding or private outing, we’ll ensure everyone arrives safely and in a timely fashion. Book your private travel method today at 210-343-2190 to speak with one of our rental experts about your next San Antonio trip. We’ll get you a free quote based on your group’s custom itinerary. We’re here around the clock to assist you with private travel.